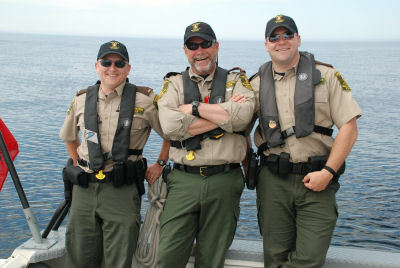 On the evening of May 5, 2009 these Conservation Officers saved a capsized, hypothermic kayaker from the waters of Georgian Bay. The three officers were on the OPP Launch Course with CO McMullen instructing. The officers observed a capsized kayak at night, and at least one kilometre from shore. The person in the water was hypothermic to the point that he could no longer blow his whistle. The officers rescued the person, placing him in sleeping bags on their boat, the Gilphie. They took the person to EMS on shore, where he was taken to Parry Sound Hospital, and made a full recovery. This was a very remote location with no other boat traffic at this time of day, let alone this time of year. These officers most certainly saved this person’s life.